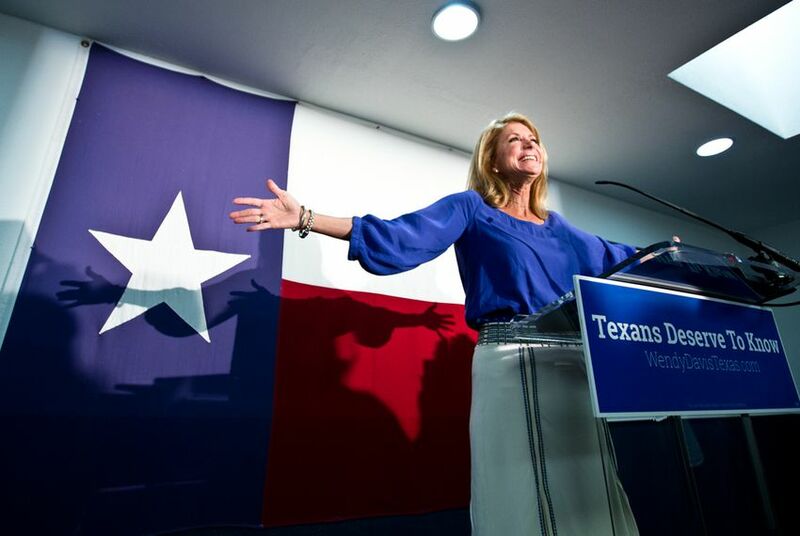 The following are selected quotes from Democratic gubernatorial candidate Wendy Davis' memoir, where she outlines her two personal experiences with abortion. The following are selected quotes from Democratic gubernatorial candidate Wendy Davis' memoir, where she outlines her two personal experiences with abortion. Davis' new book, Forgetting to Be Afraid, officially goes on sale on Tuesday. “That day in our doctor’s office, Jeff holding my hand as we looked at the sonogram screen, searching for our baby and seeing on the odd-shaped sac with no sign of life there, was a devastating one. Our 'Lucas' had implanted in a fallopian tube, rather than in my uterus ... My doctor advised us that it would be dangerous to my health to continue the pregnancy … The only medical option was to have surgery to terminate the pregnancy and remove the affected fallopian tube — which in Texas is technically considered an abortion, and doctors have to report it as such." “We stopped taking any measures to prevent a pregnancy, and, knowing that with only one fallopian tube our chances were greatly compromised, I secretly prayed that were it God’s plan for us we would find ourselves expecting again ... “When the sonogram revealed that I was expecting a girl, we were elated. We would have three wonderful girls. We picked out her name, Tate Elise." “… He repositioned my chair to its upright position and reached for a box of Kleenex, his hand actually shaking. I remember it like it was yesterday. I was immediately filled with dread ... I don’t recall exactly what he said at that point. But I do remember the words 'Dandy-Walker syndrome.' An acute brain abnormality." “I accompanied my doctor to the hospital and delivered Tate Elise Davis by cesarean section, just as I had when Amber and Dru were born. The following day a dear friend who was a nurse in the unit where I delivered Tate brought her to me. She had dressed her in a a tiny pink dress and placed a knit cap on her enlarged head." “Jeff and I spent the better part of the day holding her, crying for her and for us. We asked an associate minister from our church who was a trusted friend to come and baptize her ... The next day, as I lay in the hospital sobbing, my hand over my now-empty womb, Tate’s lifeless body was taken away and cremated. An indescribable blackness followed."